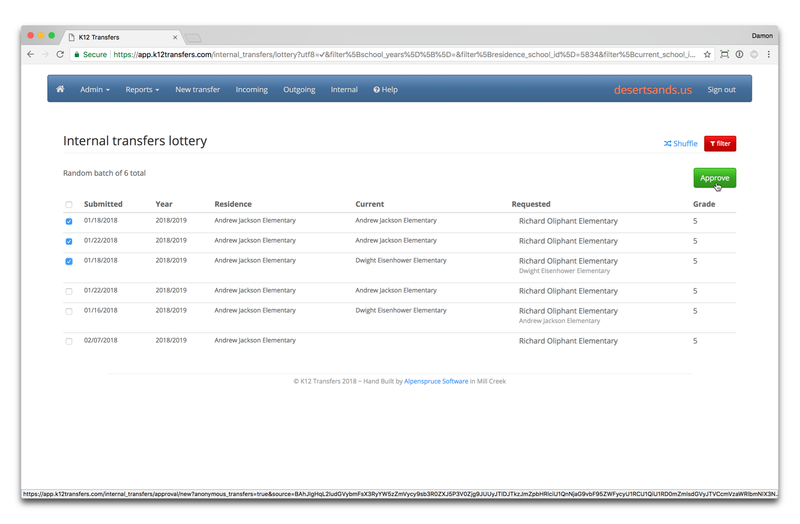 From within the internal transfers view, select the Lottery. The view will automatically shuffle the results among all the submitted transfer requests. 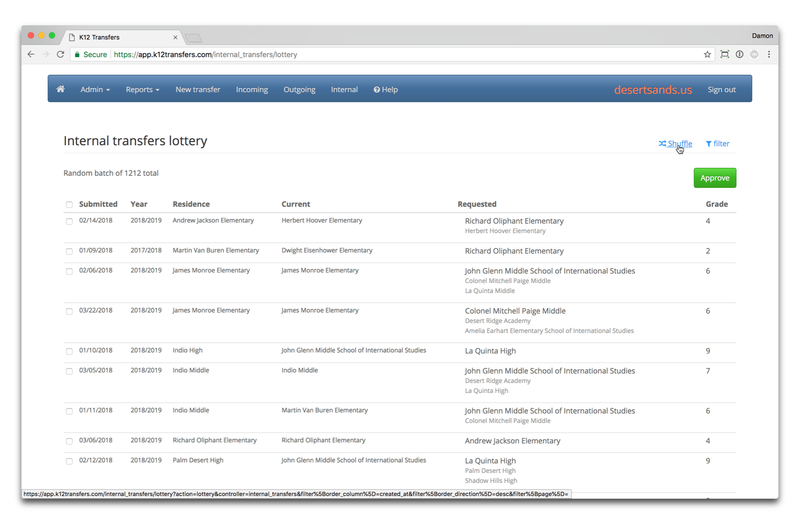 You can apply a filter to focus on criteria like a site or grade and you can shuffle as often as needed. Once you have established your criteria you can then approve transfers.